AGS’ expanded service offering joins an extensive list of quality, customer-focused services offered by AGS over its 15+ years in the tradeshow and logistics management industry. 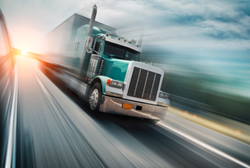 AGS understands that tracking and tracing technologies, along with strict vetting procedures, are the cornerstones for a competitive supply chain strategy within truckload shipping. AGS’ Truckload Division offers advanced technology for real time visibility of booth assets, which provides customers with asset location through scheduled status updates and on demand pings as requested. This allows complete transparency of asset location along the supply chain from pickup to delivery. Designated points of contact provide seamless communication with customers on all of their Truckload shipments. This service offering is available 24/7/365. AGS works with a network of carefully chosen truckload providers to handle an entire spectrum of delivery times and services, regardless of size, sensitivity or destination. All providers are vetted through rigid criteria to ensure availability of equipment and tradeshow knowledgeable drivers who know how to maneuver in and out of tradeshow venues. “The introduction of the Truckload Division to our customer base is in response to the increased demands within the tradeshow supply chain. We are determined to provide innovative truckload solutions to support supply chain visibility and offer the best array of services to our tradeshow customers,” says Rod Westrum, AGS’ Vice President of Tradeshow.